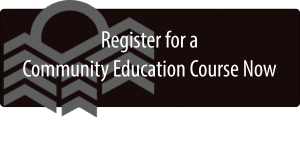 Community Education in Craig aims to support and supplement the growth, education, and well-being of all community members through courses that serve multiple groups within the community. Students can experience the world by participating in CNCC Community Education trips to places as far as Hawaii or as close as local historical sites. Students get creative by taking courses such as ceramics, oil painting, or stained glass. Courses focused on technology such as computer basics and advance Excel give students the technical skills they need in today’s world. CNCC offers a variety of courses that enable students to grow as professionals in their careers. Children are able to experience college through a variety of College for Kids courses such as poetry and guitar instruction. Click here to register for Youth Programs!